The city of Tel Aviv, Israel, unveiled a new memorial in its Meir Park in honor of thousands of homosexual victims of the Holocaust. 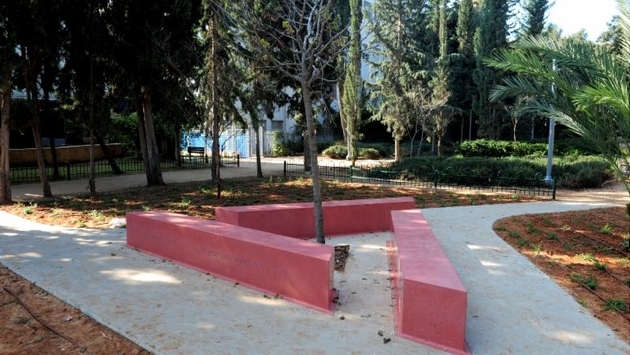 The monument is in the shape of a pink triangle representative of the emblem that homosexual prisoners were forced to wear in Nazi prison camps, which has since been adopted as a symbol by the international LGBT rights movement. Explanatory texts appear on the monument in English, German and Hebrew. According to the U.S. Holocaust Memorial Museum, the Nazis called homosexuality “socially aberrant” and in their supposed attempt to “purify” Germany and breed a “master race” Hitler banned all homosexual organizations soon after taking office in 1933. Brownshirt storm troopers raided gathering points of homosexuals and drove them underground. In 1934 a special unit of the Gestapo secret police was set up to go after homosexuals. It used “pink lists” of homosexuals that had been compiled by police since 1900. In 1936 Nazi big shot Heinrich Himmler created a Reich Central Office for the Combating of Homosexuality and Abortion: Special Office (II S), a subdepartment of Executive Department II of the Gestapo. As with other forms of Nazi oppression, the screws continued to tighten. Raids increased in frequency. Of the estimated 1.2 million homosexual men in Germany in 1928, about 100,000 were arrested between 1933 and 1945 and half of them were officially categorized as homosexual and sentenced to prison. Most were Germans or Austrians. Many were incarcerated in conventional prisons and an estimated 5,000 to 15,000 were put in the new prison camps. The number of those executed is not known.